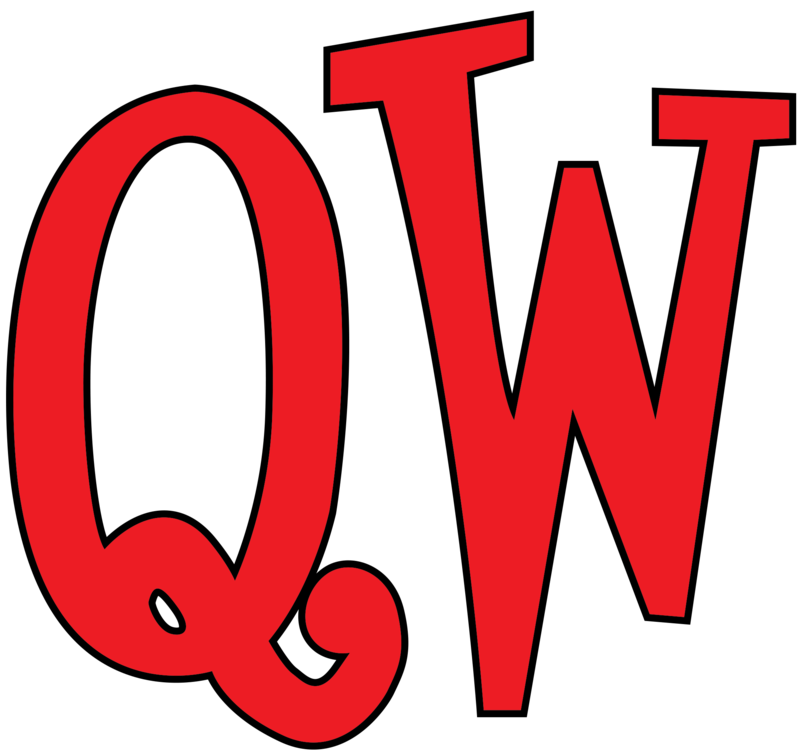 Quick Wits is an improvisational comedy troupe that takes audience suggestions to create comedy sketches on the spot. Most nights the Wits will battle against each other in teams of three for points (and laughs) from the audience. Be ready to yell out fun suggestions and then sit back and watch Utah's Best Improvisers turn it into big laughs. Quick Wits performs mostly PG to PG-13 humor with innuendo being the worst offense (though things do happen from time to time, but it's rare). If you've seen a show like "Whose Line Is It Anyway? ", you've got a good idea of what to expect from a Quick Wits show. Here's something to think about with a Quick Wits show. Think about a good comedy movie you watched and how many big laughs you got out of that. We can promise more, and bigger, laughs at our show – and we just made it up right before we said it! The MPAC is a great spot for a variety of live theatrical productions. You'll get everything from plays and musicals to improv and stand up to dance and childrens theatre. The theatre is run by local citizens who believe that the arts are vital to the community. Something Quick Wits is right on board with! Coming soon, you'll see MPAC hosting things like improv festivals and an "Actual Fun Run!" where the whole point is to keep you having fun and laughing along the path! Many great things await this newly formed partnership! Quick Wits first appeared at the Off Broadway Theatre on October 8th, 1994. It was meant as a cheap way to allow the theatre to have some sort of performance between their regular stage shows, and as a means to help separate them from The Desert Star Playhouse. Most of the actors at OBT had written and directed at DSP and would be doing the same rolls at the new theatre. Bob Bedore had done some improv while touring as a Stand Up Comedian and another actor, Rob Bogue, had performed improv in College in Southern Utah. But convincing the rest of the actors was tough. Improv wasn't on television or as popular as it is today and many of the actors were skeptical about how to get it going. Finally Bob caught a special on A&E about improv and found a copy of it for the actors to watch. That half an hour program was enough to get things started and the group of actors started rehearsing the few games they could find. In the early days of the internet it was hard to get a good list of games and the troupe had to create many of their stage games (quite a few of them are still played today). Bedore named the troupe "Quick Wits" because he wanted something that sounded like "Instant Comedy". The idea was to come up with a better name later, but that never happened and after a few years Quick Wits not only stuck as the name for the troupe, but also became synonymous with improv in Utah. The early shows with the Wits were crazy affairs with as many as 14 actors on stage for a show. But even with so many people on stage, some stars emerged. Bob, Rob, Eric Jensen, Russ Peacock, Mark Probert, Cody K. Carlson, Zac & Shawn Zumbrunnen are just a few of the players that found themselves recognized on the streets for their crazy improv ways. When the Salt Lake Olympics were announced, Bob came up with a new show called "OlympWits". For the first time the Quick Wits were separated into two teams (Dim Wits vs. Half Wits) and would compete against each other. The result was an instant success and the style of a Quick Wits show changed to that format for most of its shows from that point. In the late 90's Quick Wits was a huge hit in Salt Lake. It was estimated that the Wits sold out nearly 300 straight 10:00 shows during that stretch and getting a ticket to a show meant making reservations at least a week in advance. With that success came a great deal of competition as other troupes formed to cash in on the improv crazed started by Quick Wits. As OBT went into the 21st century a split in the ownership took place and Bob Bedore retained the rights to Quick Wits. He allowed OBT to use the name and show while he pursued opening new Quick Wits venues in Clearfield and Provo. But after almost a year of using the name, the Off Broadway Theatre decided to (as OBT owner Sandy Jensen put it) "no longer be associated with Bob Bedore or Quick Wits any further" and started a new show called "Laughing Stock". Bob desperately wanted to make sure that the string of Quick Wits shows in Salt Lake was not broken and got a show the same weekend as the first Laughing Stock show. And by the time the Olympics hit town, Quick Wits was selling out the 300 seat location in Trolley Square. A new group of actors were responsible for this new, updated Quick Wits. Andrew Jensen, Troy Taylor, Drew Keddington, Jon Hamilton, Joel Hilton, Ben Brinton, Cameron Stewart, Rebecca Larsen and many others brought a new "in your face" style of improv and a daredevil spirit of improv to the Quick Wits stage and the effects can still be felt in current shows. But the wave of improv began to die out about 2005 and audiences started dwindling for many of Utah's troupes. Quick Wits found themselves having to move to a few different locations, but has always kept the streak of performances alive (including having to perform in a mall after closing for a while!). As 2010 was approaching Bob gave serious thought to bringing Quick Wits to a close. The show was now playing at a dance club, Studio 600, and even though super star Russ McBride had joined the troupe, things were fading quickly. But a third wave was about to sweep him up and make the show strong all over again. Adding to some of the second wave "Witters", actors like Jason Wild and Jourdan Dixon brought back the never give up attitude that has been prominent throughout Quick Wits' history. Quick Wits has been going for over 20 years now and hasn't taken a week off since it opened. Almost every troupe in Utah can trace its roots back to the original Quick Wits and there isn't a single show in Utah that can make the claim of longevity that Quick Wits can. This last point is a big thing for the Wits. Another troupe may tell you that they've been around as long as we have, but ask them to show you anything with their troupe name on it during the 1990's. Through this long ride, there have been many laughs. There have also been many people that have supported the show, both fans and technical support. Charlie Ellis and his family were the backbone of support for Quick Wits for many years and we're lucky to have had people like Tammy Ross (owner of Midvale Main Street Theatre) and now the community run Midvale Performing Arts Center to give us a roof over our heads. But it's mainly the fans that deserve every ounce of our love. Without people in the seats we'd just be a bunch of goof offs getting kicked out of Denny's. You've been there through our big times and our low times. You were there to help us laugh through the pain of Russ McBride's passing. We hope you realize that you’re not just an audience or fans, you're a part of the Quick Wits family. Here's to many more laughs, and even more years, of Quick Wits!